About image of the Day @Wisdomsdoor.com. The prefect moment does not come along often. When it does, take the time to notice it! I try my best to anchor myself firmly in that moment by realizing all the wonderful things that are happening around me. This point in time becomes alive, more so than any other moments in your life, as you are fully focused into physical reality. 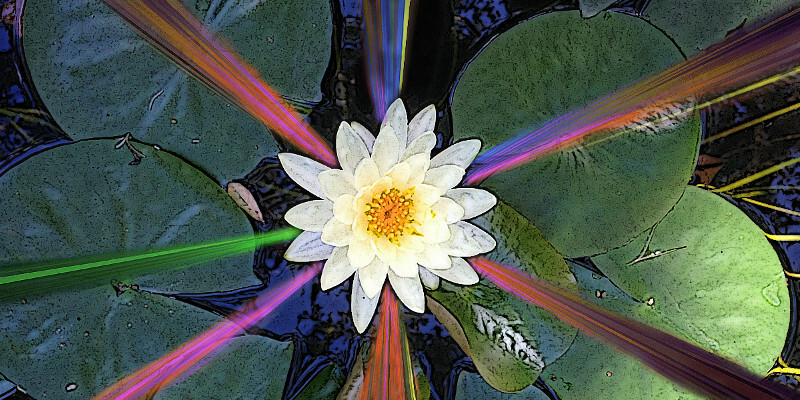 This is a picture of a lily from my pond that blooms once a year for a few days. It waits for the prefect weather and the perfect moment, then opens up, drinks in the energy, and is gone for another year. I think we can learn a lot from nature if we are open to the subtleties of it and the messages it sends. Create your perfect moments and cherish them when you bring them forth. They are nothing short of miracles in your life.